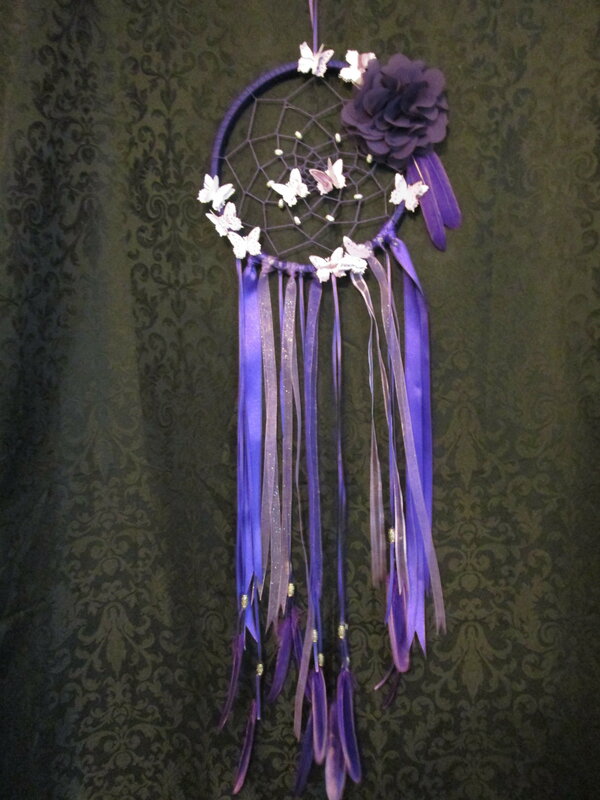 This Dreamcatcher was crafted in darker purple hues and adorned with paper butterflies, chiffon floral & feathers. 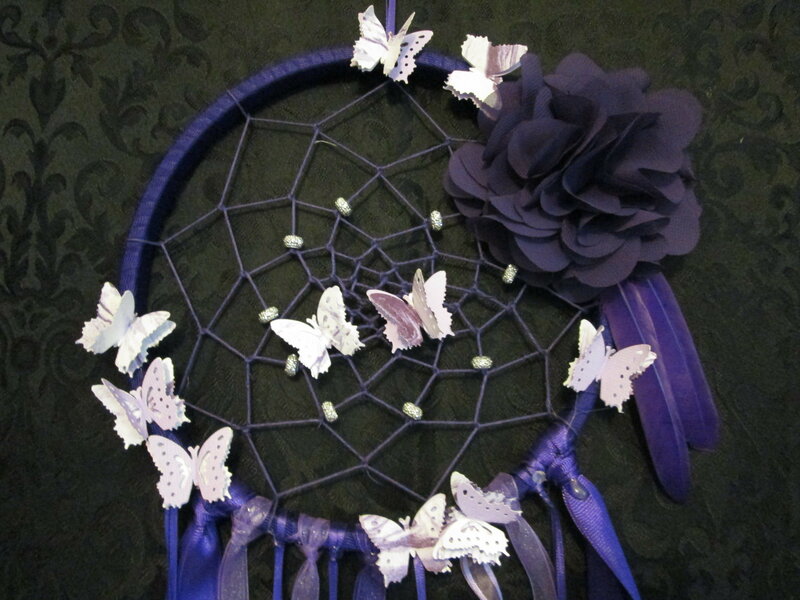 From the top of where it would hang to the bottom of the ribbons, measures 32". The hoop measures 8" across.